Rare will not release a long-term roadmap for Sea of Thieves. In an AMA on Reddit over the weekend, the team said that they wanted to maintain an air of mystery going forward. Here’s exactly when Sea of Thieves unlocks. When asked whether players can expect a published 12-month roadmap, executive producer Joe Neate said “I think we’re only ever likely to cover a few months ahead to maintain mystery.” The decision is also intended to allow Rare to be reactive to player to feedback. 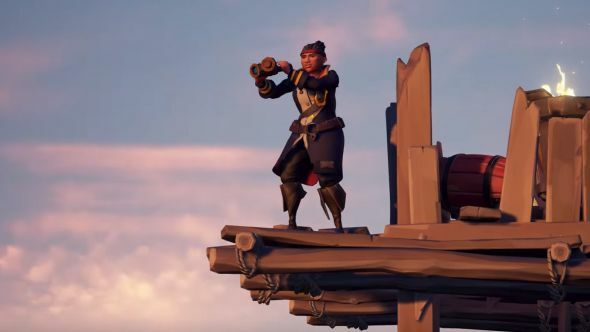 Neate also says “things will change as Sea of Thieves evolves. We want to have the time to reveal what the features mean for players before we put them in their hands. We’ve taken a show not tell policy for the entire project so far and we’re committed to that.” It’s likely then, that Rare will document content ahead of time, but with a focus on the shorter-term. You can check out the entire AMA at the link above. After a series of betas and tests, Sea of Thieves releases tomorrow, March 20.